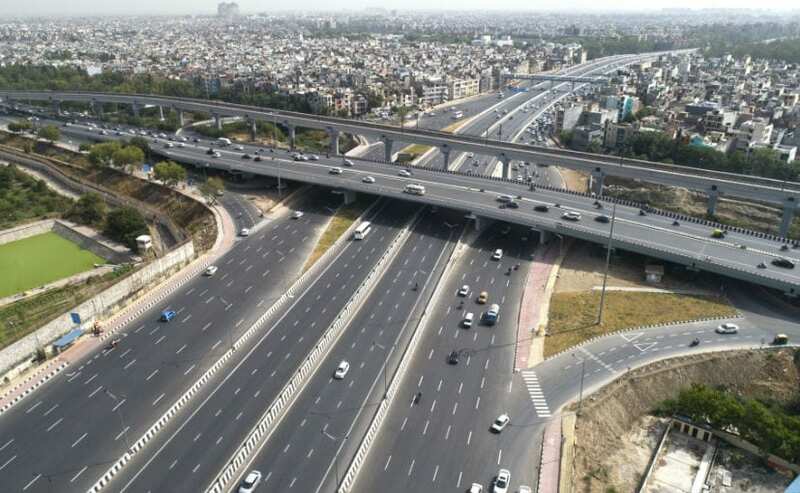 Phase 1 of the Delhi-Meerut Expressway will cut down travel time from 45 minutes to just 8 minutes, while the Eastern Peripheral Expressway will decongest Delhi's traffic and pollution woes. In a big step up for road infrastructure for Delhi, two newly-built expressways were inaugurated today by Prime Minister Narendra Modi. The new routes include 'Phase 1 of the Delhi-Meerut Expressway and the Eastern Peripheral Expressway, with the latter being India's first smart and green highway. The Delhi-Meerut route though is India's first 14 lane expressway and spans from Nizamuddin Bridge to the Uttar Pradesh border. The construction as completed in a record time of 18 months, as opposed to the scheduled period of 30 months. The new expressway will be cutting the travel time from current 45 minutes to just eight minutes and is designed for speeds up to 120 kmph. Also Read: Top 7 Ways To Get Best Fuel Efficiency in any petrol or diesel car! Phase 1 of the Delhi-Meerut Expressway (Delhi Section) is 9 km long and has been built at a cost of ₹ 841 crore. It gets a six-lane expressway with 4+4 lane highway at either side. The e-way also comes with a 2.5 metre wide cycle track on both sides, along with a 1.5 metre footpath. The expressway gets vertical gardens with solar panels for lighting and drip water irrigation in order to keep the pollution levels low. The expressway also gets replicas of prominent monuments like Qutub Minar and Ashoka Stambh. Once completed, the total length of the Delhi-Meerut e-way will be 96 km. The expressway also gets Advanced Traffic Management Systems (ATMS) and CCTVs to monitor the traffic and safety of commuters. The first phase of the Delhi-Meerut Expressway will provide a major relief to commuters, while also decongesting the national capital. Once completed, the travel time from Delhi to Meerut is expected to reduce to just 45 minutes from the current 4-5 hours. The Delhi-Meerut Expressway (Delhi Section) has been developed by NHAI and Welspun Enterprises under the 'Hybrid Annuity Model'. The six-lane Eastern Peripheral Expressway or EPE, meanwhile, has been built at a cost of ₹ 11,000 for a stretch of 135 km, and was constructed in a record time of 17 months. The expressway is expected to bring down the pollution level in Delhi by a 27 per cent. It is India's first highway to be lit by solar power besides provisions of rainwater harvesting have been made on every 500 metres on either side. The EPE originates from Kundli and ends at Palwal, both of which are located in Haryana. The EPE is equipped with smart and intelligent highway traffic management system (HTMS) and video incident detection system (VIDS), while there is also Electronic Toll Collection (ETC) system. Eastern Peripheral Expressway is expected to divert at least 50,000 vehicles from Delhi, going towards Jammu and Kashmir, Punjab, Haryana, Uttarakhand, Uttar Pradesh and Rajasthan, bringing down vehicular pollution.